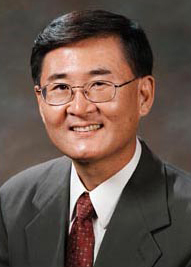 Steve Kang, dean of the Jack Baskin School of Engineering, has been appointed to the Blue Ribbon Task Force on Nanotechnology (BRTFN), a joint federal-state venture to benefit Silicon Valley and promote California as the premier center for nanotechnology research, development, and commercialization. The BRTFN is cochaired by U.S. Representative Mike Honda of San Jose and California State Controller Steve Westly. Members of the task force include nanotechnology experts with backgrounds in industry, academia, government, medical research, and venture capital. UC Santa Cruz, with its close ties to NASA Ames through the University Affiliated Research Center (UARC), is in a strong strategic position to help develop the nanotechnology industry, Kang said. "Nanotechnology is a critical enabling technology with a broad spectrum of applications and will surely need a strong home base in California, in particular in the greater Silicon Valley region," Kang added.